Source: Ralph Dunstan, The Cornish Song Book (London: Reid Bros., Ltd., 1929), p. 111. 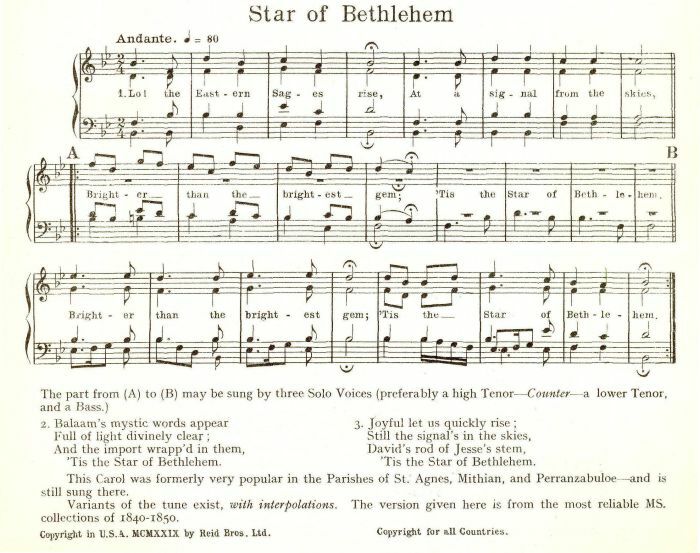 Note from Dr. Dunstan: This Carol was formerly very popular in the Parishes of St. Agnes, Mithian, and Perranzabuloe — and is still sung there. Variants of the tune exist, with interpolations. The version given here is from the most reliable MS. collections of 1840-1850.